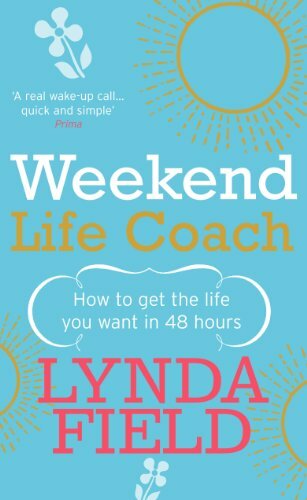 Snappy, feisty and fun - and full of brilliant ideas, questionnaires, exercises and strategies, Weekend Life Coach is the book to re-motivate and inspire even the most depressed and hopeless! Snappy, feisty and fun - and full of brilliant ideas, questionnaires, exercises and strategies, Weekend Life Coach is the book to re-motivate and inspire even the most depressed and hopeless! Weekend Life Coach shows you how to take advantage of stress-free time, not only to relax but also to concentrate on your own needs, dreams and goals, and transform any aspect of your life - how to be more confident, lose weight, have great relationships, make a new career move, increase your finances or just to be happy in your own skin. Following her unique no pressure/high enjoyment approach, Lynda Field shows that all you need is some quiet time for yourself, a comfortable chair and the desire to take control of your life, and Weekend Life Coach will provide the rest. Change is easy when you can unwind and focus on yourself, so just make the most of this special, personal time and take this golden opportunity to step into your fabulous new life.